At Top Notch Tree Service, we can provide high-quality tree services at your home or business in Lake Norman, North Carolina. At Top Notch Tree Service, we have been providing top-notch tree services to Lake Norman, North Carolina and the surrounding areas for over 25 years. Our staff members are professionals who have the training and experience to safely and effectively remove trees from your yard, as well as trim and maintain trees and shrubs that are too demanding for you to look after yourself. Fully insured and locally owned, our company puts the needs and safety of its customers first. 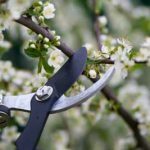 From residential to commercial jobs, we provide a full array of tree services, ranging from trimming and pruning to removal and lot clearing. We specialize in climbing, roping and rigging inaccessible trees, as well as tackling jobs that others don’t dare approach. At Top Notch Tree Service, we offer a range of residential and commercial tree care services, with a professional climber on-site, a bucket truck as needed, and our owner assisting at every job until the work is done. We’re the one-stop solution when it comes to tree services, and we will never leave a job you’re unsatisfied with. We commit to 100% customer satisfaction and safety and promise never to hide charges in your bill. Allow our tree experts at Top Notch Tree Service to handle all of your residential or commercial tree care, trimming, pruning and removal needs. We have the equipment and experience to safely look after or remove your trees in Lake Norman and the surrounding area. Call us today for a free quote or consultation!